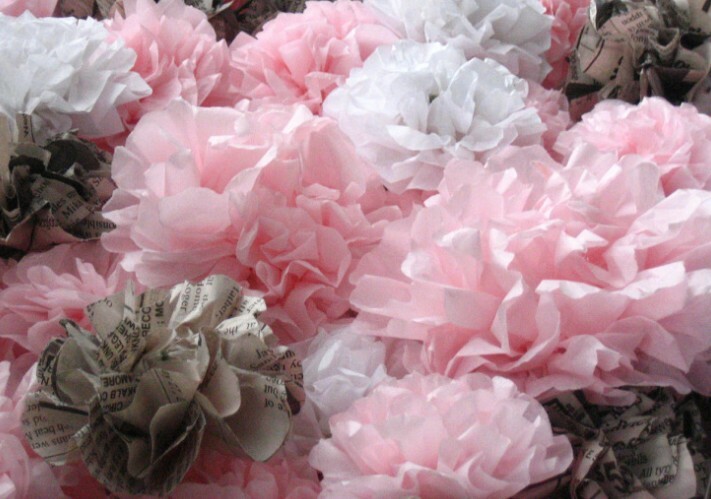 Make pom-poms out of tissue paper or newspaper and give to guests to wear during the wedding! Learn more about this idea on the source. See a tutorial for this idea using string to tie the corsage. See a tutorial for this idea using fabric to make the flower.